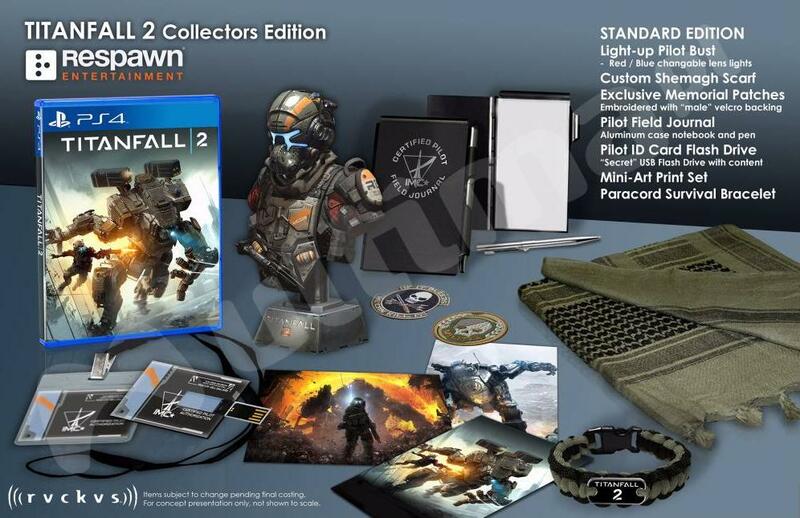 Ahead of Sunday's EA Press Conference, images have popped up from an online retailer showing off the Titanfall 2 boxart along with two limited editions. The first is the Standard Collectors Edition which comes with a Pilot Bust, Custom Scarf, Exclusive Memorial Patches, a Field Journal, Pilot ID Flash Drive, Mini-Art Print set, and a Survival Bracelet. The second edition dubbed the "Uber Edition" included a 1:1 Replica Pilot Helmet, Tactical Helmet Accessories, a Custom Scarf, Exclusive Memorial Patches, a Field Journal, and a Pilot ID Flash Drive. 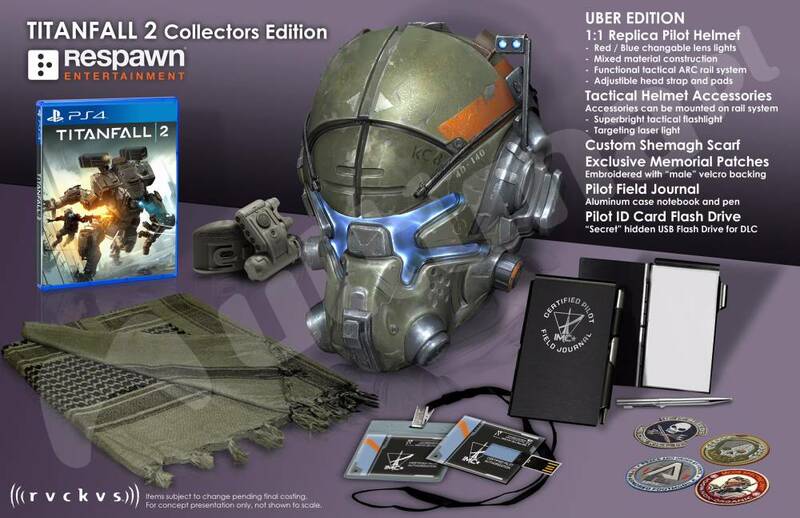 Both images show off the new boxart for Titanfall 2 featuring a pilot running alongside a newly designed Titan. Titanfall 2 does not currently have a release date but it scheduled for a Fall 2016 release alongside Battlefield 1. Expect more information from EA this Sunday.